The reason that vitamin K hasn’t made it onto the health radar is because we assumed we were getting enough of it. However, recent studies show that it may be time to start giving vitamin K some attention. In the late 1920s, a Danish scientist set off to investigate cholesterol. He gave chickens food which had been stripped of its cholesterol. Soon, the chickens were bleeding and hemorrhaging. When the cholesterol was added back into the diet, the problem didn’t stop. The scientists realized that a vitamin had also been removed along with the cholesterol. The newly-discovered vitamin was dubbed Koagulationsvitamin, which is German for coagulation vitamin. Thus, it became known as vitamin K.
Vitamin K comes in two natural forms. The first form, vitamin K1, is found in plants. The second form, vitamin K2, is created as a byproduct of intestinal bacteria. Bacteria can also produce K2 from dietary K1. In the body, vitamin K1 helps the blood clot. Without enough vitamin K1, hemorrhaging could occur. Because some infants may be deficient in vitamin K1, it is common for newborns to receive an injection of the vitamin immediately after birth. This is to prevent uncontrolled bleeding – something that occurs in about 1.8 babies out of 100,000. The K2 form of vitamin K has an additional role in the body: it is also important for bone health. It attracts calcium molecules and helps them bind to proteins so the calcium can be used by the body. Basically, K2 moves shuttles calcium throughout the body to where it needs to go. Without enough vitamin K2, osteoporosis could occur. This same property also makes vitamin K2 useful for preventing cardiovascular disease: the vitamin will attract calcium which has hardened in the arteries and cause it to break down. The RDA of vitamin K1 is set at 120mcg (micrograms) per day for adult men and 90mcg per day for adult women. It is very easy to meet these RDAs simply by eating leafy green vegetables. A half cup of kale, for example, contains 575mcg of vitamin K1. Because vitamin K1 is found in so many foods, deficiency is very rare. It mostly only occurs in people with intestinal disorders, or alcoholics. While vitamin K deficiency may be rare, a deficiency in vitamin K2 is actually incredibly common. According to Dr. Kate Rheaume-Bleue, author of the book Vitamin K2 and the Calcium Paradox: How a Little-Known Vitamin Could Save Your Life, most healthy adults are lacking in K2. *Dr. Rheaume-Bleue’s book is available in paperback and for Kindle. Buy the Book Here. 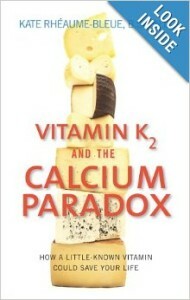 Without vitamin K2 to shuttle calcium where it needs to go, the calcium cannot be utilized well by the body. 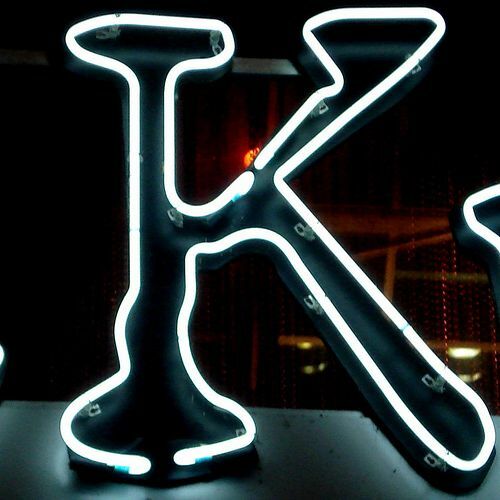 People lacking in vitamin K2 are at higher risk of osteoporosis. The calcium-K2 connection could explain why Asian cultures have low rates of osteoporosis. While they traditionally do not consume much calcium, their diets are rich in vitamin K2, thus helping them utilize calcium more efficiently. K2 is not only important for bone health, but also for cardiovascular health. If there is not enough K2 present to shuttle the calcium where it is needed, it can make its way to the arteries where it builds up as plaque and causes arthrosclerosis. Since it is now incredibly common for people to take calcium supplements (Americans spend over $1 billion per year on calcium supplements), K2 deficiency is especially concerning. A recent study published in the British Journal of Medicine found that taking calcium supplements increases the risk of heart attack or stroke by 20-30%! As Dr. Rheaume-Bleue points out, the issue with vitamin K2 and calcium is alarming because even healthy adults are lacking sufficient K2. They experience no symptoms, but their bone density gradually lessens as calcium builds up in their arteries. It isn’t until too late that the adverse effects of K2 deficiency are experienced. Does This Mean You Should Stop Taking Calcium Supplements? The research linking calcium supplements to heart disease is concerning – especially since heart disease is the #1 killer in the US and #2 killer in the UK. But this fear is shadowed by growing rates of osteoporosis. Studies also routinely show that most westerners are not getting enough calcium in their diets. The main takeaway from the K2 issue is that people need to focus on getting calcium from their diets, NOT supplements. Natural sources of calcium, such as dairy, are also high in vitamin K2 which means that the body will be able to efficiently use the calcium where it is needed. If you are going to take a bone supplement, then you will probably want to take a calcium supplement which also has vitamin D, magnesium, and K2 — like Bone Up by Jarrow. For vegans, getting enough calcium and vitamin K2 can be problematic. While many vegan foods are high in vitamin K1 (particularly leafy greens like spinach), there are few vegan foods high in vitamin K2. Since the body can convert vitamin K1 into K2, it could be assumed that increasing vitamin K1 consumption could help meet K2 requirements. However, evidence shows that the body does not convert enough K1 into K2 to prevent osteoporosis and heart disease. In one study (Geleijnse et al., 2004), for example, it was found that vitamin K2 reduced heart disease but intake of K1 had no beneficial effect. Another study from the Netherlands found that vitamin K2 is three times more effective than K1 in increasing levels of osteocalcin, a chemical which controls bone formation. Vegans are at higher risk of bone fracture than vegetarians and omnivores. So, they should take extreme care to get adequate calcium in their diets. If they do opt for a vegan calcium supplement, then they should also make sure to include a source of vitamin K2 in their diets or talk to their nutritionist about taking a vitamin K2 supplement along with the calcium supplement. Since vitamin K2 is made by animals in the intestines, it is found in high amounts in organ meat. Because vitamin K2 is fat soluble, it is also found in animal fats. Chicken, beef, and salami are all good sources of vitamin K2. Vegetables are high in K1, but few vegan foods contain any vitamin K2. The exception to this is foods fermented with bacteria. I’ve talked about the health benefits of lacto-fermented foods before. Lacto-fermentation (which has nothing to do with milk or lactose) provides your body with a dose of healthy bacteria for your gut. Since bacteria produce K2, these fermented foods are also a great source of vitamin K2. 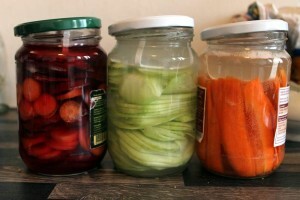 Fermenting your own vegetables is very easy. Read these simple instructions on how to make your own lacto-fermented vegetables at home. Research also shows that oil helps the conversion of vitamin K1 to K2. So, vegans worried about getting adequate K2 may want to eat some healthy oils along with their K1-rich greens. Consider healthy fats like avocado, nuts, and coconut oil. If you are worried that you aren’t getting enough K2 in your diet, there are a few vegan K2 supplements available as well as vegan bone health supplements which contain K2 (along with calcium, D3, and other bone health cofactors). You can check out our chart of recommended vegan supplements, or see these vegan K2 supplements which are available on Amazon.